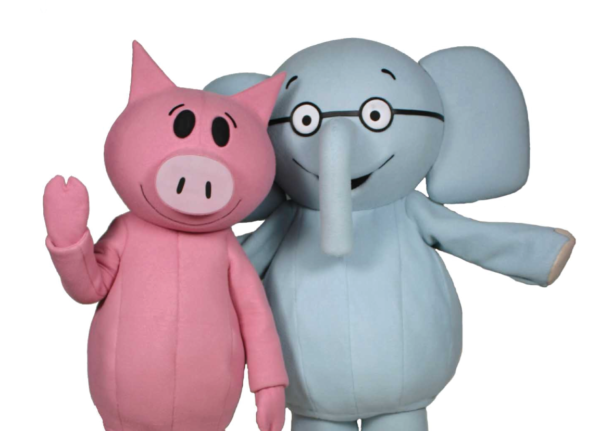 Meet best friend duo Elephant and Piggie on Saturday, September 29 at 11:30 and 2, with a special storytime at 11. Elephant and Piggie brought to you by our friends at Hill’s Pet Nutrition. Also visit the whimsical world of Mo Willems at The Pigeon Comes to Topeka: A Mo Willems Exhibit at the Kansas Children’s Discovery Center, open September 24, 2018 to January 4, 2019. The exhibit brings to life all of Mo Willems’ most popular picture books and characters, including The Pigeon, Elephant and Piggie and Knuffle Bunny in a fun, interactive exhibit that’s full of laughs.